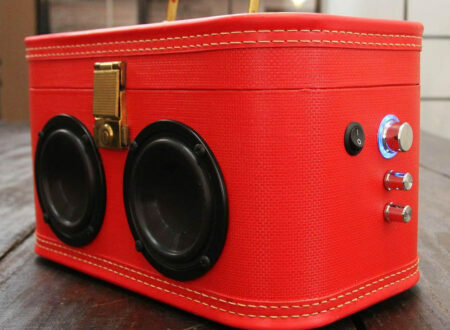 These incredible suitcase stereos are each made by hand from an authentic vintage suitcase, this case is called “The Lady Bug” and it has 4 individual speakers, a 40W amplifier with volume, bass & treble control, a built in lithium battery good for 8+ hours of music and a jack that connects to any iPhone/iPad/MP3 player. 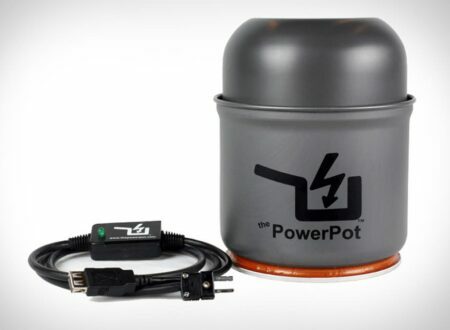 The PowerPot is a relatively small, portable power generator that just requires a campfire or heat source to operate. It’s capable of charging everything from cell phones to GPS units and radios, or anything else that runs on lithium ion battery units. 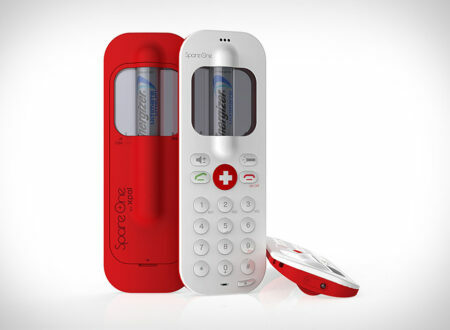 If you’re one of those people, like us, who has a habit of accidentally destroying your iPhone every time you leave the house, the SpareOne Emergency Phone might be just what you need. Ice balls are a relatively new discovery of mine, I first encountered them when my brother, who was a bar manager at the time, pulled out a contraption and loaded a giant cube of ice into it. 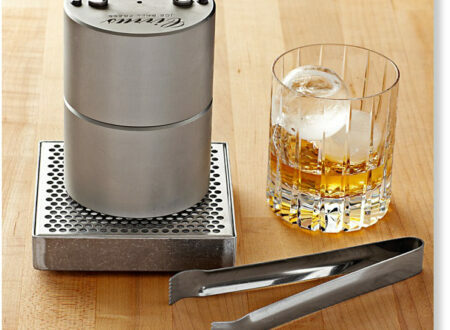 The device slowly melted the cube into a clear sphere of ice which was then dropped into my bourbon. Sometimes, it really is medicinal. 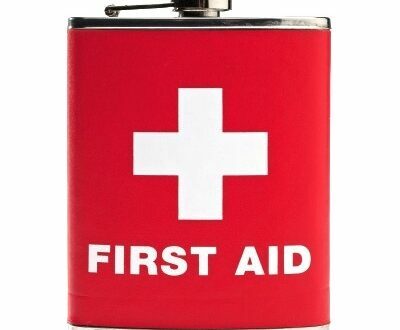 If you find yourself in a pinch and their doesn’t happen to be a Saint Bernard handy, this flask should just about do the trick. 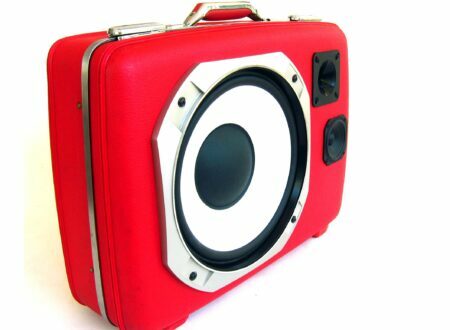 BoomCase is the pre-eminent creator of vintage suitcase boomboxes, each case is made by hand from a genuine vintage piece of luggage meaning no two are identical, they include internal battery systems that’ll give you ~10 hours of music (upgradeable to 20 hours for $45 USD). 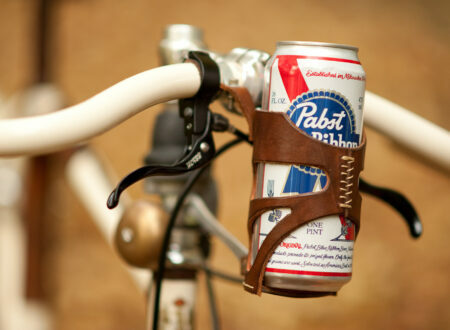 Okay so from the outset I have 2 problems with the Bicycle Can Cage, firstly, that appears to be Pabst Blue Ribbon sitting in it, a beer which I have tasted and strongly feel is unfit for human consumption. 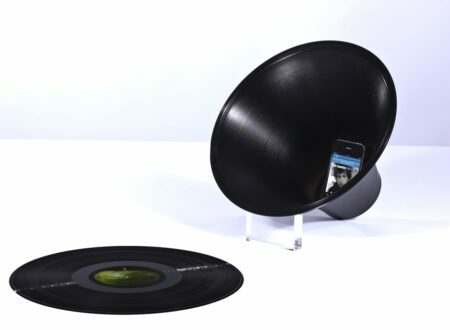 This extraordinary vinyl loudspeaker concept from Paul Cocksedge takes now defunct records and moulds them into a dome that has a significant amplification affect on music when you insert a standard iPhone and hit play. 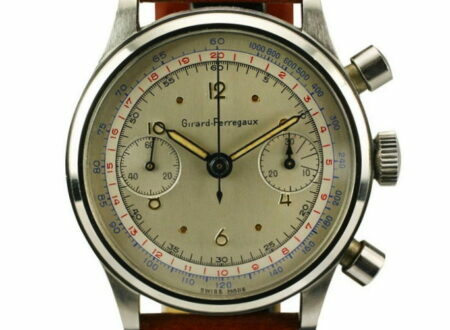 Black and white photography is, in some respects, a lost art form. 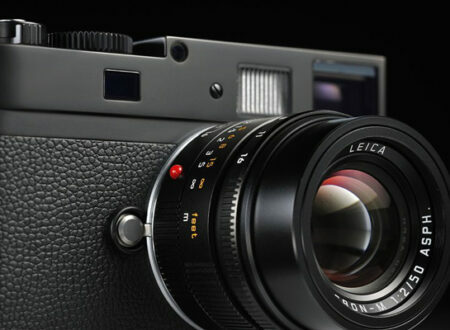 The move away from film to digital and the requisite fixed colour sensor has meant that true black and white photographs are a thing of the past, well perhaps they were till now. 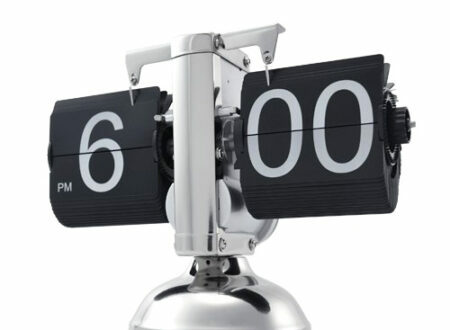 I love mechanical timepieces, usually we see them being wristwatch based with the occasional pocket watch thrown in for good measure, but what about the old fashioned Desktop Flip Clock? 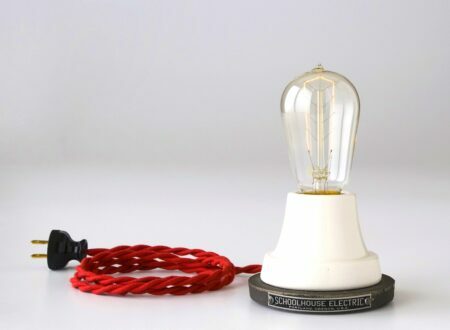 The Ion Lamp by Schoolhouse Electric is a retro, desk based lamp that uses an Edison Single Loop lightbulb to provide a warm glow. The lamp has the ability to make your messy desk look like it belongs to a misunderstood, turn of the century genius.